Robert Fulton is a philanthropic business investor who thrives off making contributions to the growth of humanity through mentoring. Preferring to take life’s most difficult challenges head-on, Robert has an inner drive that has called him to focus on longevity, deeper connection with society, and growth by empowering those with goals to impact the masses. 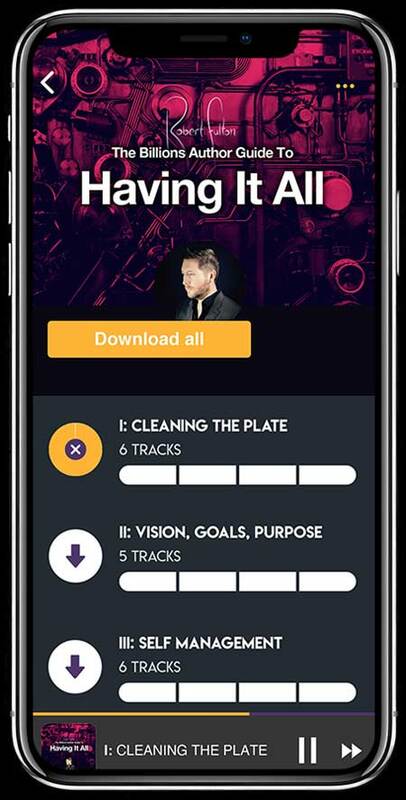 Take your journey in self-discovery and personal development to the next level with Audioarcade — the ultra-learning app with a shot of adrenaline. Jump start your progress in health, wealth, and relationship development by taking your classroom anywhere and everywhere you can take your headphones.